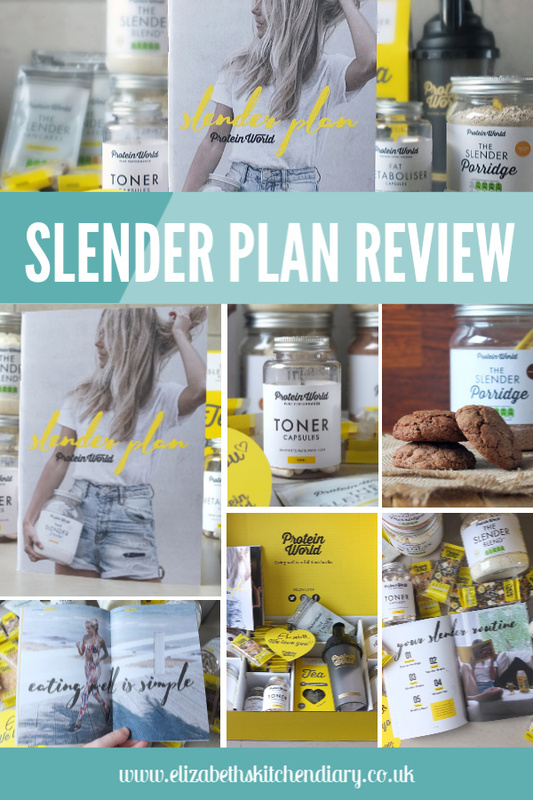 I’ve just completed the 4-week Slender Plan from Protein World, and so I’m sharing my honest opinion of what I thought of the products as well as my weight loss/fitness results. There’s also a cookie recipe. 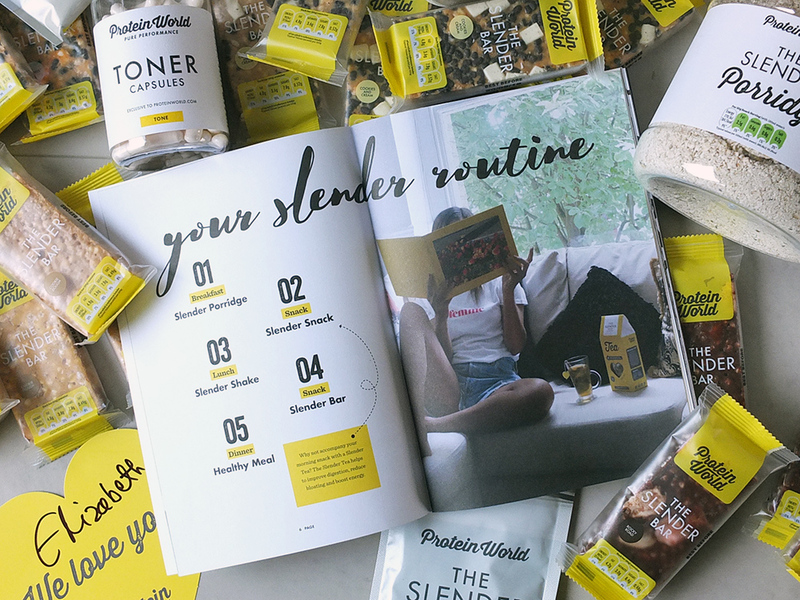 In January of this year, Protein World sent me a complimentary 4-Week Slender Plan – all of the products I’d need to get myself back on the fitness track after the Christmas and New Year festivities. At that point, I’d only put on five pounds so I didn’t have a lot to shift. I thought the kit sounded like a good idea, so I was willing to give it a go. I began the program in earnest, writing a blog post on day one with my hopes and goals, telling you all about what I’d planned on doing and why. 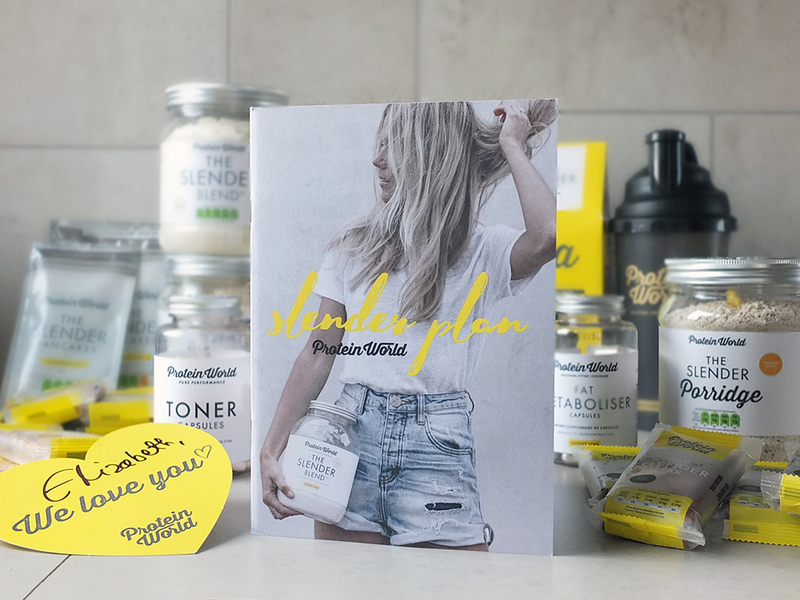 WHAT WAS IN MY PROTEIN WORLD 4-WEEK SLENDER PLAN? Well, truth the told, one of the reasons I’d put on a few pounds (besides the festives) was that I’d found a pea-sized lump in the fleshy part of my cheek towards the end of October last year. I was trying not to worry about it, but my initial consultation with a specialist wasn’t until mid-January so it was at the back of my mind. Motivation to exercise wasn’t really there. 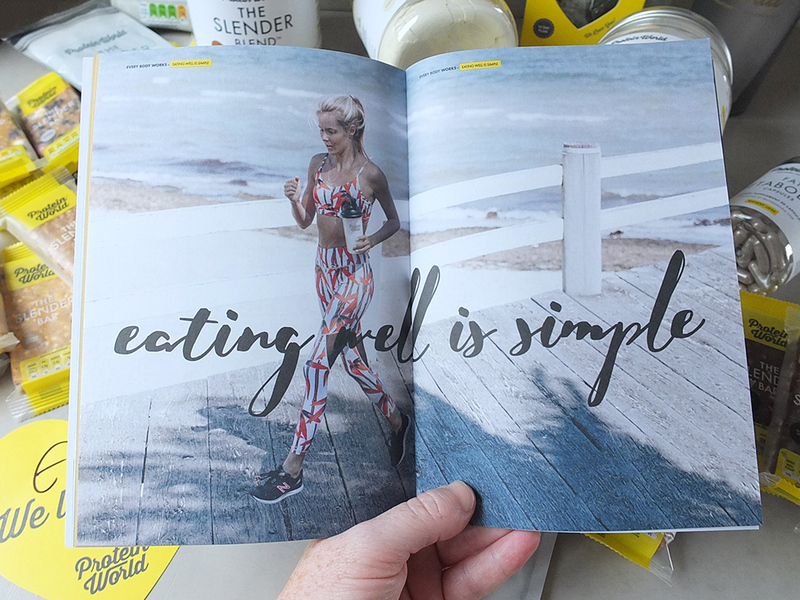 In January, I did about a week and a half of the program exactly how it was designed to be in the leaflet – porridge for breakfast, a morning snack, a shake for lunch (made with water), a Slender Bar in the afternoon and a meal in the evening. I was also eating back my exercise calories. Basically, I was that hungry all day that come the evening I’d eat the same dinner I’d made for my family, too hangry to make a separate low-calorie meal for myself and therefore completely blowing the diet. My heart wasn’t in it due to stress and worry about the lump. At the beginning of February, I had an ultrasound and the lump was officially diagnosed as a tumour. By this time it had grown considerably and I was told I was going to need surgery asap. They thought the tumour was in a minor salivary gland in my cheek, and the literature says that up to 85% of minor salivary gland tumours are malignant so, understandably, I was bricking it a bit. I stopped moving and over the next three months (patiently waiting for a surgery date) put on another ten pounds from inactivity (mostly playing Assassin’s Creed on my son’s Xbox to quell the rising panic). Working out and eating sensibly didn’t seem to be as important. I sort of felt I was stockpiling the weight, just in case, y’know? This morning I popped the last two Fat Metaboliser capsules left in the 90-capsule bottle and completed the P90X3 ‘The Warrior’ workout. It’s officially three weeks since I re-started my diet and fitness routine after recovering from surgery in early May. I had no idea that a general anaesthetic took it out of you that much, and also, my idea of asap clearly differs from that of the NHS. During the last few months, loads of you have been asking how I got on with the program, sending me private messages, emails and blog comments on the original blog post. So much so that I’ve decided to write this follow up post to let you know a) why I went silent on that front and b) what I actually thought of the program. 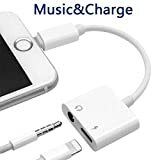 It’s got its good points and its bad. Keeping in mind these are my own personal opinions, and we all have different tastes and nutritional needs depending on age, activity and gender. Below are my honest and truthful thoughts. oh, my goodness the caffeine – it’s all about the caffeine! The Fat Metaboliser capsules are like rocket fuel to your brain, and I’m a self-confessed coffee addict. You start the plan by taking one capsule in the morning and one in the afternoon and upping the dose on week two. 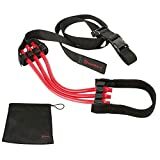 By the time they kick in there’s no way you can sit on the couch and not be bothered to do your workout. You HAVE to move. 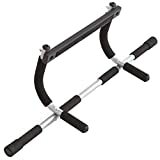 These are a great motivator and, I think, single-handedly responsible for getting me back into my fitness grove post-surgery. 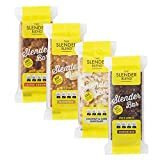 the salted caramel Slender Blend tastes amazing! The vanilla is ok but needs to be paired with some fruit for flavour. the Green Tea is tasty and super energising too, for that slump when the Fat Metabolisers wear off. the pancake mix is easy to make and tastes great too, making for a decent-sized filling meal. the flavoured porridge was awful. I like the idea of the porridge with all its vitamin and mineral additions (plus more caffeine!) and the seeds, but they whizz it up too fine so it cooks into this terribly thick claggy overly sweet mass. The chocolate porridge tasted like warm chocolate oat cookies mushed up in a bowl, while the golden syrup flavour was sickly sweet, even though it contains no added sugar. If I were to pick the porridge flavours again I’d go for two unflavoured jars. the Slender Plan bars are also sickly sweet. You get that sickly feeling in the back of the throat when eating them like you get when you’ve eaten a cupcake with an enormous pile of sugary frosting. Truth be told, you can’t really tell the difference between the different flavours either, and most of mine arrived slightly melted and squidgy. I still have five of them left I don’t think I can face eating. it’s rather expensive, really, for what you get. I confess I’ve not followed these last three weeks of the plan to the letter. I skipped the porridge, opting for my morning milky coffees, then a P90X3 workout followed by a protein shake. 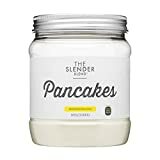 I’d add a banana and use 1/4 less the amount of water to make the shake creamier and more filling, and truth be told, this would keep me going until mid-morning when I’d eat a high protein snack – like a tub of cottage cheese or one of those Arla Protein strawberry yoghurts. I’d have a Slender Bar (or a protein snack) in the afternoon and then a low carb high protein evening meal: grilled meat and plenty of vegetables, usually. This would leave enough calories left in the evening for a little snack – like a pack of Sunbites and a low-fat Babybel (or a cheeky glass of red wine!). I was aiming for around 1200kcal a day with a little more on the days where I do a long cycle ride. On Saturday’s I eat my exercise calories back (pizza night & wine!). 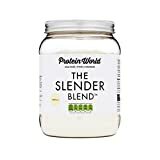 I still have a ways to go before I reach my target weight, but the 4-Week Slender Blend Program did help me kick-start my fitness routine again (Fat Metabolisers, I’m looking at you! 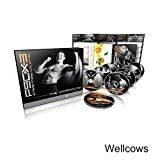 ), and once you’ve done something for a few weeks it becomes a habit, so I think I’ll be able to carry on without the use of the products, although I am tempted to stock up on salted caramel protein shakes. I really did like that flavour. …and the tumour? Well, the final pathology report came back last week. It’s been diagnosed as a solitary fibrous tumour in the buccal space. It’s an incredibly rare neoplasm, benign, with only around 38 cases reported in the English-speaking research papers. My surgeon also didn’t get it all out, so I have no idea what is coming next – further surgery? Radiotherapy? No idea. I do know I’ll be fit and strong to face it, whatever it is. I’ll find out in August during my next follow-up appointment. Good luck, dear reader, with your fitness goals, whatever they may be. 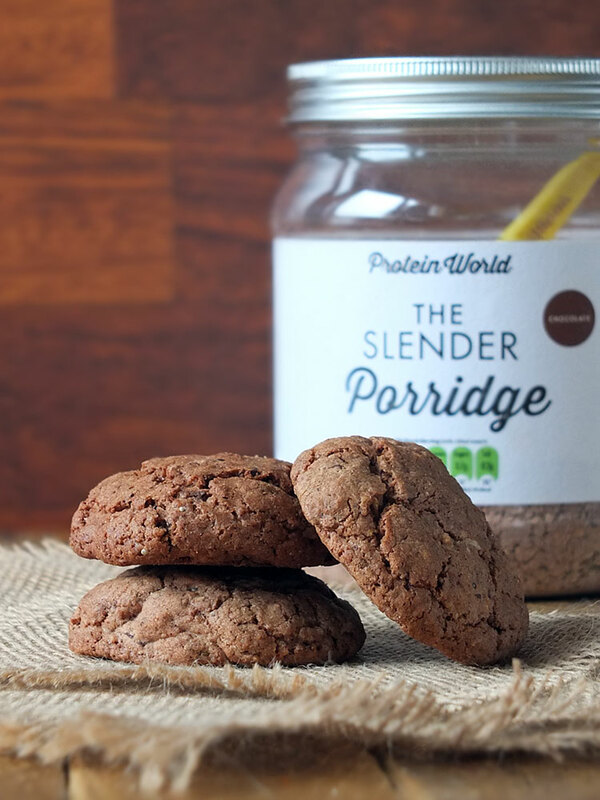 Here’s a recipe you might like to make if you too end up with a jar of chocolate flavoured Slender Blend porridge you don’t want to eat. These cookies are super portable and great for taking out on bike rides or long treks when you need that extra hit of carbs to help keep the muscles going. 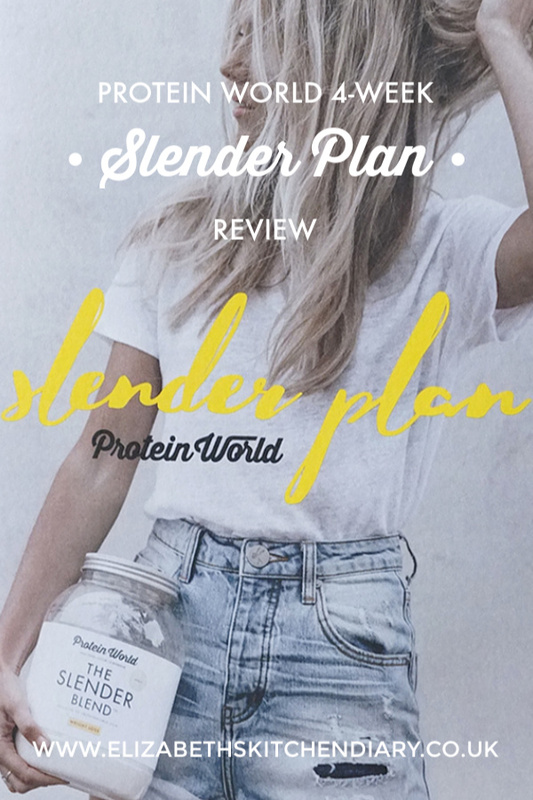 PIN THIS PROTEIN WORLD SLENDER PLAN FOR LATER! Sorry to hear what you’ve been going through and hope you are ok x Half a stone is a tremendous weight lose in four weeks. Sounds like an interesting plan. That is an awful lot to take on board and deal with, and to be able to continue on a level where you can still write and share stuff shows a lot of strength. I do hope that things improve quickly for you. I can see why it hasn’t been the right time to continually think about eating plans or weight loss. I suggest playing more Assassin’s creed. and look after yourself. It sounds like an interesting plan – I think as with most plans like these, they work for some people really well, some people they don’t and others seem to be somewhere in the middle. Sorry to hear about your tumour, you’ve certainly been through the mill lately!